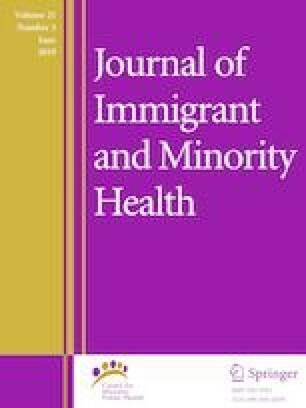 A Qualitative Exploration of Somali Refugee Women’s Experiences with Family Planning in the U.S. The purpose of our study was to explore the knowledge, attitudes, and experiences of Somali refugee women with family planning in the U.S. We conducted focus groups of Somali refugee women and used grounded theory methodology to identify emergent themes. Fifty-three women, aged 18–49 years, participated. Somali refugee women’s cultural and religious beliefs and social identities strongly influence their conceptualization of family planning. Participants agreed that a woman’s fertility is ultimately decided by Allah and identified environmental changes after immigration and the desire to optimize maternal health as facilitators to modern contraceptive use. Misconceptions about and fear of side effects of modern contraceptive methods, including a fear of infertility, were identified as barriers to use. To deliver patient-centered family planning counseling to Somali refugee women, it is essential that healthcare providers approach these discussions with cultural humility and consider employing community partners or cultural brokers to help provide family planning education. This study was funded in part by a Research Stimulation Grant (G1502RS) from the American Academy of Family Physicians Foundation and the Society of Family Planning Research Fund (SFPRF9-MC1). The content of this publication is solely the responsibility of the authors and does not necessarily represent the official position of AAFP Foundation nor the Society of Family Planning Research Fund. We thank Ladna Farah, the Somali Health Board of King County, WA and the University of Washington Family Planning Division for their help with this study. • In your opinion, what is the ideal family size? • Have your views on an ideal family size changed since resettling in the U.S.? If so, how have they changed? • What does birth spacing mean to you? • What have you heard about birth spacing? • After the birth of a child, how long should women wait to become pregnant again? • What are the benefits of birth spacing? • What are the disadvantages or problems with birth spacing? • How do women practice birth spacing? What methods of birth spacing, if any, do women use? • Which contraceptive methods have you heard of? • What have you heard about these methods? • Why do some Somali women use modern contraception*? • Why do some Somali women NOT use modern contraception*? • How do women choose which contraceptive method to use? • What concerns do you have about any of these contraceptive methods? • Where do you get your information about contraception? • How has it been talking with doctors about contraception and child spacing? • What information would you find helpful/useful when considering child spacing or contraception? UNFPA, Programme of Action of the International Conference on Population and Development, Cairo, 5–13 September 1994, New York: UNFPA, 2004, http://www.unfpa.org/sites/default/files/event-pdf/PoA_en.pdf. Women’s commission for refugee women and children (WCRWC), refugee women and reproductive health care: reassessing priorities, New York: WCRWC, 1994. https://www.womensrefugeecommission.org/resources/document/583-refugeewomen-and-reproductive-health-care-reassessing-priorities. Seattle Co. Seattle Immigrant and Refugee Data Sheet. Office of Refugee and Immigrant Affairs 2014; https://www.seattle.gov/iandraffairs/data#snapshot. Report to Congress FY 2012 from Office of Refugee Resettlement. Office of Refugee Resettlement: U.S. Department of Health and Human Services; 2012. https://www.acf.hhs.gov/sites/default/files/orr/fy_2012_orr_report_to_congress_final_041014.pdf. Dedoose Version 7.0.23, web application for managing, analyzing, and presenting qualitative and mixed method research data (2016). Los Angeles, CA: SocioCultural Research Consultants, LLC www.dedoose.com.